The first issue of Mineralogia Polonica, the official Journal of the Mineralogical Society of Poland, was published in 1970 soon after foundation of the Society in 1969. Mineralogia Polonica, publishing in English from its beginning, has been very important for development of mineralogical sciences in Poland, exchange of scientific journals and international collaboration. Based on a long discussion with our colleagues from abroad we have agreed that the title mag suggest that the journal is focused on local mineralogical problems from Poland. To avoid this misunderstanding we have decided to modify the title and accordingly the journal cover. The new and simple title Mineralogia (with the subtitle Geochemical, Mineralogical and Petrological Research) indicates an open character of the journal.We intend to publish original papers, review papers and short notes from broad fields of geochemistry, mineralogy, petrology, technical, experimental and appliedmineralogy, environmental geochemistry andmineralogy. We have also decided to introduce changes in the organization of our Editorial Board to ensure high scientific level of the journal and relatively short time-span between paper submission and publication (electronic and paper versions). The regular series Mineralogia will be accompanied by the irregular one (Mineralogia  Special Papers), containing conference abstracts. The present issue begins new series of the journal. The first issue of Mineralogia  Special Papers will appear in September 2008 as an abstract volume prepared for the 2nd Central-European Mineralogical Conference. It is our deep conviction that journals published by scientific societies should be accessible freely to the whole scientific community. 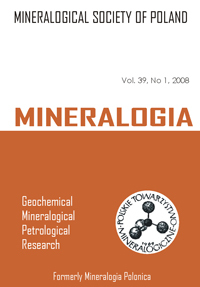 Similarly to the former Mineralogia Polonica, all full- -text papers of the new journal will be accessible on the Society website (www.ptmin.agh.edu.pl), Direct Open Access Journals (www.doaj.org), Metapress (www.metapress.com), as well as on the Mineralogia webpage (www.mineralogia.pl). Almost a year has passed since an unexpected decease of Professor Witold Żabinski (1929-2007), our unforgotten colleaque and one of the most eminent Polish mineralogists. Our dear Friend was for 34 years the editor-in-chief of Mineralogia Polonica. Therefore, it is quite comprehensible that this official periodical of the Mineralogical Society of Poland is considered as His 'child', always treated by Witold with particular affection. The authors of this volume, representing all the centers of mineralogical sciences in Poland, would like to pay homage to this exceptional man and scientist of unusually deep human personality. The character of these papers reflects very wide scientific interests of Prof. Żabinski, ranging from classical mineralogy to physics of minerals to geochemistry and practical application of clay and other minerals. It is a great pity that the present volume of our periodical is dedicated not to celebrate further significant achievements of Witold Żabinski in various branches of mineralogical sciences but to commemorate His great merits to Polish mineralogy. Not so long ago one could read in Mineralogia Polonica (36/1, 2005) that Professor Witold Żabiński resigned from his post of Editor-in-Chief of our journal, remaining however on the Editorial Board. On that occasion we presented his achievements as an editor of scientific journals and an author of university teachingmaterials and academic textbooks and wished him many years of further successes. Confronted by something unavoidable to every human being, in this issue we had to present a note on the long and fruitful life of this so modest man who stood out as a peerless example to us: his friends, co-workers and students alike. Witold Żabiński, professor emeritus of the Faculty of Geology, Geophysics and Environment Protection at the AGH-University of Science and Technology in Cracow and the 35-year editor of Mineralogia Polonica passed away on 15th January, 2007. His sudden and unexpected death filled all of us with tremendous sorrow and grief. Polish mineralogy has lost one of outstanding scientists, whereas the academic community one of most distinguished teachers. Witold Żabiński was born on 17th July, 1929, in Cracow. In the years 1947-1951 he studied simultaneously geology and chemistry at the Faculty of Mathematics and Natural Sciences at the Jagiellonian University, from which he graduated in 1951 with a Master of Philosophy degree in the scope of geology and palaeontology. In the same year he was employed as an assistant at the Department of Mineralogy and Petrography at the Academy of Mining and Metallurgy in Cracow. In the next years he climbed there the academic ladder, obtaining the posts of an adjunct (1959), associate professor (1965) and extraordinary professor (1973). In 1981 he achieved the top academic position of the ordinary professor and in 1993 was elected a member-correspondent of the Polish Academy of Arts and Sciences. 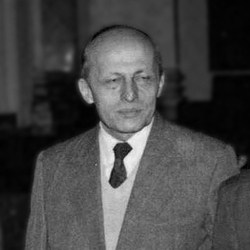 In 1966 Witold Żabiński received a scientific scholarship in Oxford (UK) under supervision of Professor Jack Zussman. In the next year he became a member of the Mineralogical Society of Great Britain. In the first years of his scientific career Witold Żabiński got interested in petrology of sedimentary and igneous rocks in, the vicinity of Cracow and also in methodology of determination of trace elements in minerals and rocks. He published some papers on this topic. Later on, he entered deeply into mineralogy and geochemistry of the oxidation zone in the Silesian-Cracow deposits of Zn and Pb ores. This topic became the subject of his Ph.D. thesis, presented in 1959. He devoted much time to study Zn-bearing carbonate minerals and contributed to more detailed characteristics of Zn-dolomite, monheimite (Fe-smithsonite) and hydrozincite. In next years he studied the silicate minerals of the hydrogarnet group and summarized his vast knowledge on the subject in a monograph "Hydrogarnets", which was the basis for his habilitation in 1965. The results of his investigations were highly appreciated in foreign scientific centers and cited many times in scientific literature in Poland and abroad. Identification of the vesuvianite varieties dispersed in some hydrogarnets, infrared spectroscopic evidence of ordering of the vesuvianite structure, the optical absorption and the presence of Fe+3 and Cu2+ ions in vesuvianite became particularly interesting forWitold ÂŻabiĂąski. This group ofminerals, their crystallographic structure and optical features fascinated him throughout his life. He applied in his investigations the novel and then sophisticated methods, such as IR, EPR, NMR, as well as MĂśssbauer and Raman spectroscopies. He also drew attention to suchminerals as axinite, chrysoprase, smectites, zeolites, hydroalumocalcite, monohydrocalcite. The latter was synthesized from the solution of CaCl2 and MgCl2 treated with Na2CO3 in the form of a precipitate composed of a mixture of aragonite and just calcium carbonate monohydrate. Many Witold Żabińskiâs mineralogical and geochemical results were published in renowned, foreign scientific journals: Mineralogical Magazine, Journal of Molecular Spectroscopy, Physics and Chemistry of Minerals, Journal of Thermal Analysis, European Journal of Mineralogy, Neues Jahrbuch fĂźr Mineralogie, aswell as in our Mineralogia Polonica. Some papers were presented at several Polish and international conferences, e.g. at the IMA congresses, and during his visits to European universities (Marburg, Nowosibirsk, Orlean, Pisa, Salzburg, Vienna). Problems connected with modern methods of examining minerals and rocks (infrared spectroscopy, nuclear magnetic resonance, MĂśssbauer spectroscopy and others) were described in the monograph "Methods of study of minerals and rocks". It was printed in Polish in 1979 and revised in 1988 and W. Żabiński was one of the editors and an author of several chapters. Witold Żabiński jointly with Jan Kubisz wrote an original handbook for tutorials in mineralogy, tailored for the students of Academy of Mining and Metallurgy (eight editions!!!) and a textbook "General mineralogy" together with Andrzej Bolewski and Jan Kubisz. Professor Żabiński was a perfect and gifted teacher. His lectures were always well prepared, understood and clearly presented. He initiated and organized the so-called "Postgraduate Study on the Methods of studying Minerals and Rocks" at the then Faculty of Geology and Prospecting of the Academy of Mining and Metallurgy. He was ist leader and head for many years. Professor Żabiński supervised 22 M.Sc. theses and 13 Ph.D. dissertations. He also wrote innumerable reviews of doctorates as well as opinions required in the procedure of conferring higher scientific degrees in Poland (habilitations and professorships). It is difficult to describe all the duties and professional positions of Professor Żabiński. The most important were: the chairman of Mineralogy and Geochemistry Department and the director of the Institute of Geology and Mineral Raw Materials at the Academy of Mining and Metallurgy, the chairman of the Mineralogy Department at the University of Silesia, the chairman of the Mineralogy and Petrology Department at the Jagiellonian University. For eight years (1982-1990) he was also the Chairman of the Committee on Mineralogical Sciences of the Polish Academy of Sciences. 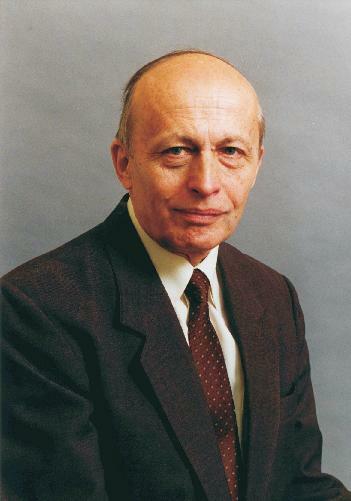 During those years Professor Żabiński developed strong cooperation with many institutions, organizations and scientific societies in Poland and abroad. Together with physicists and chemists he carried out research on mineralogy and geochemistry of selected minerals andmineral groups. Recently he paidmuch attention to physical properties of sorbents. He was the principal investigator in several projects funded by the Polish Committee for Scientific Research. In his neatly stacked archives we have come across the final evaluations of these joint works, which always were marked as "excellent". He was among the founding fathers of the Mineralogical Society of Poland and in the years 1980-1994 was elected its President. For us Professor Żabiński will remain the unforgettable Editor-in-Chief of Mineralogia Polonica, the journal of our Society, since the very beginning (the first volume appeared in 1970) till 2005. He used to say that this journal was his dear child. Among his decorations we should mention the Cavalier Cross and the Commander Cross of the Polonica Restituta order, several awards, e.g. from the Rector of the Academy of Mining and Metallurgy and from the Minister of High Education and Technology, and many honorary medals. He was always an example of an extremely reliable, precise researcher and a magnificent man. We are sure that his merits in scientific and academic activities, highly appreciated within the Polish mineralogical community, will be long remembered not only by mineralogists in our country but also abroad. For those of us who had a chance to meet and work with Professor Żabiński, he will always remain in our memories as a very modest and sensitive man of unusual personality with impeccable upbringing typical of old good years, a person of unblemished reputation, a model scientist to be followed. On the cold day of 23rd January, 2007, a huge gathering of his friends, co-workers and pupils, representing academic and scientific institutions from Cracow, Gliwice, Sosnowiec, WrocĹaw and Warsaw, joined the beloved family of the late Professor and bid him the last farewell at the Rakowice cemetery in Cracow. 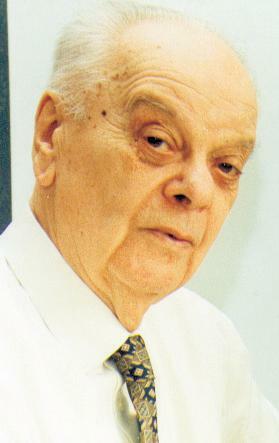 Professor Andrzej Bolewski was born on 17 July 1906 in Małogoszcz near Kielce in south-central Poland. He graduated in 1930 from the Academy of Mining in Cracow where he had been assistant to the Chair ofMineralogy and Petrography since 1928. On graduation, he first investigated the sulphur deposits near Cracow and visited oil deposits in Rumania, sulphur mines in Sicily, zinc and lead deposits in Greece and pyrite mines in Spain. After additional mineralogical studies in France and Belgium, Professor Andrzej Bolewski carried out petrographic studies on hard coals, phosphorites, clay raw materials and other sedimentary and magmatic rocks. Professor Bolewski took part, as an officer, in the tragic September 1939 campaign in Poland and on 6 November 1939 was arrested, together with other academic teachers from the Cracow universities, in the Sonderaktion Krakau taken against Polish intellectuals. After release from imprisonment in the Nazi concentration camps of Sachsenhausen and Dachau, he returned to Cracow and took part, during theNazi occupation of 19391945, in the clandestine activities of his parent University, about which he wrote later several books. During the war, Professor Bolewski was already developing a programme for the utilization of the mineral deposits in eastern Germany. Consequently, in 1945, he took part as an expert and adviser to the Polish Government in the delineation of the western frontier of Poland at the Potsdam Conference.He described his experiences in autobiographic books entitled In the road to Potsdam (1977, 1987) and My life - my work (1996). He also wrote important works on martyrdom and the losses of Polish scientists during World War II. Throughout his life, Professor Bolewskiwas associated with the Academy of Mining and Metallurgy in Cracow. It was there that he obtained the degrees of doctor (1935), docent (1939) and professor (1946). In the years 19451976, he was the head of the Chair of Mineralogy and Petrography of his parent university and is considered to have been the founder not only of the Cracow mineralogical school, but also of modern mineralogy in Poland after World War II. During the years 19521957, he was the first president (with the rank of Minister) of the Central Office of Geology. and of economic geology but, primarily, of excellent modern manuals of general and descriptive mineralogy. As an expert in this field, he was for many years (19601987) an influential Polish representative in the Commission on New Minerals and Mineral Names of the International Mineralogical Association. Professor Bolewski was an academic teacher of distinction who promoted 23 professors from among his pupils and successors.Hewas especially interested in economic geology and encouraged exploration for mineral deposits and development of mines necessary for the restoration of our country after the heavy destructions of the war. In addition, he was editor of the Encyclopedia of Mineral Raw Materials and co-editor of the series Mineral Raw Materials of the World. Professor Bolewski was an excellent promoter of scientific organizations.Among his significant achievements, one must emphasize his contribution to the formation of the Commission on Mineralogical Sciences and the Commission on Geological Sciences, both affiliated to the Cracow Branch of the Polish Academy of Sciences (1964), and of the Mineralogical Society of Poland (1969). He was the first President and honorary member of the Mineralogical Society and the first chief editor of the Transactions of the aforementioned Commissions and of Mineralogia Polonica, the official organ of the Mineralogical Society. Among his several hundred publications on various mineralogical and geological problems, there are about fifty books and papers devoted to the history of geosciences. Thus, not surprisingly, Professor Bolewski was a senior Polish member of the International Commission on the History of Geological Sciences. He was, in addition, a member of the British and French Mineralogical Societies. Professor Bolewskis exceptional abilities were greatly appreciated by both academic and state authorities. He was an honorary doctor of his parent Academy of Mining and Metallurgy (1984) and of the Silesian Polytechnic University (1984). Moreover, he was awarded the Order Polonia Restituta (1st class) and numerous other decorations. Professor Bolewski was a fellow of the Polish Academy of Sciences (1952) and of the Section of Natural Sciences of the Polish Academy of Arts and Sciences (1990). After long and fruitful life, working to the very end, Professor Andrzej Bolewski died on 29 October 2002 in Cracow. He was buried in the presence of representatives of Polish academic and geological institutions and ofmany former pupils and co-workers at the monumental Rakowice Cemetery in this royal town. At the General Meeting of the Mineralogical Society of Poland in Cracow on 16th December 2004, Professor Witold Żabiński announced his resignation from the post of Chief Editor of Mineralogia Polonica, the function he had held since 1969. As it was his final decision, the participants had to accept it with full respect and understanding but also with real sorrow. They expressed sincere thanks to Professor Żabiński and acknowledged his enormous role and efforts in creation and development of Mineralogia Polonica, the scientific journal of the Mineralogical Society of Poland. Professor Żabiński can for sure include into the list of his various achievements the position 'editorial work'. He has been very active in this field for the last 45 years. Shortly after presenting his Ph.D. dissertation he was appointed to a post of Scientific Secretary of a newly formed journal Prace Geologiczne (Geological Transactions), the periodical of the Commission of Geological Sciences, published by the Cracow Branch of the Polish Academy of Sciences. The first volume of the journal came out of print in 1960. When, it turn, in 1964 the Commission of Mineralogical Sciences with its journal Prace Mineralogiczne (Mineralogical Transactions) was founded by Cracow Branch of the Polish Academy of Sciences, Professor Żabiński - as a mineralogist - was duly appointed Scientific Secretary of this new series. He held his function till 1974, participating in issuing the first 35 volumes, and after handing down the post in Prace Mineralogiczne to his successor he has remained on its Editorial Board. It was in this period that he worked out, mainly on a basis of his international contacts, an extensive list of the Polish and foreign scientific institutions and libraries, which an exchange of Prace Mineralogiczne got initiated. In 1969 the Mineralogical Society of Poland was formed. The appointment of Professor Żabiński to the post of Chief Editor of Mineralogia Polonica was an obvious choice for the members of Society. For the successive 35 years he devoted much of his time and skills to shaping the present layout and possiton of our journal, whose first volume appeared in 1970. During his tenure 35 volumes of Mineralogia Polonica were edited; printed in 62 issues they presented over 500 papers. We must bear in mind that as the Chief Editor he also oversaw financial matters of printing, had to cope with censorship, co-operated with translators, and managed to keep uninterrupted, annual editing of the journal even in the year of an economic crisis in Poland. It should be emphasized that of considerable importance is Professor Żabiński's deeply human personality, which during several decades of his editorial activity facilitated contacts with numerous authors from various countries. He contributed a lot to organizing and extending the international exchange of Mineralogia Polonica. This exchange has formed a basis of the library of the Mineralogical Society of Poland, currently composed of almost 8,000 volumesand representing 145 scientific journals. Again, scientific contacts of Professor Żabiński have resulted in inviting outstanding mineralogists from abroad into the Editorial Board of Mineralogia Polonica; their presence has widened a circle of advisers and reviewers of the papers published. All the members of Mineralogical Society of Poland express their deep gratitude to Professor Żabiński for his hard work as the Chief Editor of Mineralogia Polonica. We are grateful even more: despite his other duties Professor Żabiński still shares his experience in editing our journal: he has remained a member of Editorial Board and actively co-operates with a new Chief Editor (Dr Andrzej Skowroński). In spite of many hundred years old mining traditions on the Polish territory, the stormy and eventful political history of Poland in the eighteenth, nineteenth, and at the beginning of the twentieth centuries hindered the organization of research centers for carrying out investigations of rocks and minerals. For several centuries Poland had held an eminent place in the European production of iron, copper, zinc and lead ores, rock-salt, marbles, and other mineral raw materials. When Poland lost its independence at the close of the eighteenth century, some Polish mineralogists had to take refuge in other countries of Europe and sometimes even on the other continents, like, for instance, Ignacy Domeyko (1802 - 1889) in South America. Similarly, out of their country worked for several years Józef Morozewicz (1872 - 1945), Stefan Kreutz (1883 - 1941), Zygmunt Rozen (1874 - 1936), Stanisław Thugutt (1862 - 1956), Zygmunt Weyberg (1872 - 1945), and others. Relative political tolerance under Austrian administration permitted the establishment in 1852 of the first Polish independent mineralogical laboratory at the Jagellonian University in Kraków, the head of which was Ludwik Zajszner. This unit began flourishing under the administration and scientific supervision of Józef Morozewicz (from 1906) and then Stefan Kreutz (from 1920) when Poland regained its independence. During the inter-war period other centres carrying mineralogical research works were set up at various universities and in the National Geological Institute in Warsaw. At the suggestion of Stanisław Thugutt, the periodical Archiwum Mineralogiczne began being edited in 1925. The Second World War brought about the demolition of all these centers and their libraries and the decimation of the staff of mineralogists. After the second World War mineralogical sciences in Poland were reviving rapidly owing to the own efforts and assistance from abroad. This assistance in training young mineralogists as well as in equipping the laboratories and making additions to the libraries will always be gratefully remembered in our country. At the initial stage the scientific life of the mineralogists was developing within the organizational framework of geological sciences, and the papers and works on mineralogy appeared largely in various geological periodicals, like Rocznik Polskiego Towarzystwa Geologicznego, Biuletyn Instytutu Geologicznego, Kwartalnik Geologiczny, Wiadomości Muzeum Ziemi, Bulletin de la Société Polonaise des Sciences, scientific publications of individual universities, and the like. It was only in 1962 that the idea of setting up a separate organization of Polish mineralogists, the Mineralogical Society of Poland, arose. Over a hundred mineralogists from scientific institutions and industrial works acceded to the society. Yet the initiative was not then crowned with success. However, in 1964 there came into being the Commission of Mineralogical Sciences of the Polish Academy of Sciences, Branch in Kraków, the presidency of which was taken by Andrzej Bolewski. The Commision rallied mineralogists from the southern regions of Poland by organizing scientific sessions. The abstracts of the papers and reports presented at the sessions are printed in Polish in the semi-annual publication Reports from the Sessions of Scientific Commission, Polish Academy of Sciences, Branch in Kraków. Manifold activities of the Commission included the propagation of the newest methods of investigating rocks and minerals, the research works in the nature of physiography, and close cooperation with the industrial works that were interested in the results of mineralogical researches. In addition, the cooperation with all the mineralogists in Poland was tightened and several contacts with abroad were consolidated. In 1964 the Commission began also publishing its own periodical, Prace Mineralogiczne, twenty-four numbers of which have appered up to 1970. On March 3, 1967 a conference of Polish mineralogists was held in the underground workings of the ancient salt mine at Wieliczka wear Kraków, at which the motion was carried to resume the efforts to establish the Mineralogical Society of Poland. This time the matter was settled favorably. The Society began its activities on April 17, 1969, and the works connected with the edition of its own periodical, Mineralogia Polonica, were started in 1970. The object of the Mineralogical society of Poland is to follow and join in the world achievements in the field of mineralogical sciences and, at the same time, to serve the country in the development of science and learning, economy, and culture. Its task is to organize scientific life of Polish mineralogists in close cooperation with research centers and industrial works that are interested in the development of mineralogical sciences. We strongly hope that the work of the Mineralogical Society of Poland will contribute to the peaceful cooperation of mineralogists all over the world, and the periodical Mineralogia Polonica will prove useful both to the Polish and foreign mineralogists. We apply to all of them with a request for cooperation.